Sidney Friedman on the TODAY SHOW, 20/20, FOX-TV and more!!! Pure Thought Reading - Friedman on ABC-TV's "Windy City Live"
Yet another STANDING OVATION as Sidney spells SUCCESS: Audience participation is HUGE in Sidney's shows. Here they miraculously spell out the name of their organization! Sidney performing his EXCLUSIVE "Music Mindreading"
Totally unique, Sidney Friedman performs MUSIC MINDREADING. These people just simply think of songs. Sidney then senses the music in their heads and plays their songs on the guitar. STANDING OVATION ON BROADWAY: Your crowd will do the same! FRIEDMAN receives a standing ovation for his performance at the Hudson Theater on BROADWAY in New York last March. With Gold Medal Figure Skater KRISTI YAMAGUCHI, Sidney Friedman is "the mentalist to the stars." With the star of "General Hospital" NANCY LEE GRAHN, Sidney is "the mentalist to the stars." With GUILLERMO from "Jimmy Kimmel Live," Sidney Friedman is "the mentalist to the stars." Many celebrities are fans of Sidney. Here is Kim Kardashian's best friend, Jonathan Cheban with Sidney. Sidney on a BILLBOARD in Times Square, New York, featured for his annual news prediction success!! FRIEDMAN on the TODAY SHOW -- part of the reason people call him "America's Premier Mentalist." Here a random person drew a picture in total privacy. Sidney then sensed the drawing and nearly duplicated it exactly!! Hey, it's the real deal, and we picture success for your event when you book Sidney!!! FUN & FRIENDLY: People love to be a part of FRIEDMAN's show as seen here a few months ago at this performance in St. Thomas, Virgin Islands. In addition to stage shows, Sidney also can perform Mingling Miracles up-close. This is perfect for a cocktail party situation. Sidney Friedman on ABC-TV's "Windy City Live"
GOOD VIBRATIONS: FRIEDMAN's abilities and good thoughts emanate from his mind and rub off on others. This is from the POSTER for Sidney Friedman's sold-out New Year's Eve show at Davenport's Cabaret in Chicago. SIdney is also a national best-selling author. This book reached #8 on AMAZON. 100% guaranteed to THRILL your audience or your money back. Period. Plus, no mentalist in the U.S. has been featured more on news programs or reviewed as highly as Sidney FRIEDMAN. Seen regularly on the TODAY SHOW, THE VIEW and THE EARLY SHOW, and reviewed by the CHICAGO TRIBUNE as "the master of all things psychic," FRIEDMAN is not only a true virtuoso of ESP, telepathy and mental miracles, but with 17 years experience he is a joy to work with in helping make your event an occasion you'll talk about for years to come. From corporate to social to charity events, TIMEOUT magazine exclaims, "FRIEDMAN will blow your mind!" When you absolutely MUST amaze your audience, call on FRIEDMAN. I gave my daughter a special day and Sidney was what she wanted. He nailed it!!! The party was absolutely a big success and all our guests, adults and kids, were all amazed by him. I was very happy with his performance and there is no doubt I'll be using him again and highly recommend him to my friends and family. Thank you, Sidney, you are a star!!!! As promised, Sidney delivered a fantastic and entertaining performance to our audience of 430+ people for a fundraising gala. He perfectly intertwined the mission of the event within his performance, with an amazing and memorable finale. He and his manager are extremely easy to work with. He was a very special addition to our event! Sidney Friedman delivers a first class experience! Sidney Friedman and his team deliver a first class experience from booking through finale! Amazing, Great, Awesome, Unbelievable , Very Entertaining, Wow and a Huge Thumbs up, were just some of the comments that our guests made. Sidney joined us for our end of the year office party. It was for a small group, in an intimate setting. Sidney did an amazing job keeping everyone entertained, engaged, and in awe. The entire group was blown away by his talent and his act was one of the highlights of the evening. I would strongly recommend him. A thoroughly thought-provoking, mind-blowing show! Sidney's performance absolutely wowed our guests! Without a doubt the highlight of our holiday party. This is not your typical "magic" show, Sidney really gets your audience thinking! On a professional level, he was also a pleasure to work with. He was well prepared and helpful the day of the event - a welcomed relief on a day that's already hectic. I highly recommend Sidney and would without a doubt work with him again in the future. Sidney did a GREAT job entertaining our guests for my wife's surprise birthday party. Sidney Friedman Wows the Audience in Greater New Haven, CT. The Jewish Federation of Greater New Haven recently hosted a successful community campaign featuring Sidney Friedman, "Mentalist to the Stars". Having seen Sidney Friedman a few years ago through another Federation, I was determined to bring him to the greater New Haven community. The outcome was beyond my expectations. It was a fascinating, entertaining and engaging program. The highlight was that Mr. Friedman was able to articulate and integrate the Jewish Federation message of into his performance. So many attendees stated this was the best Federation event they had ever been to; the crowd eagerly engaged and participated and our lay leadership enjoyed Sidney's show as well as the enthusiastic impact he had on our audience. Sidney effectively weaved our Federation message into his performance which resulted in people opening their hearts and pockets, making their annual campaign pledges after his performance. I think he used his psychic powers to help increase gifts! I highly recommend Sidney Friedman to every Federation looking for an enjoyable, engaging, and entertaining program to wow their donors and increase annual campaign giving. Golfers at the joe Maddon charity golf event. I have a WOW thank you for Sidney! Just a note to tell you how much everyone was blown away by your performance at our home Saturday afternoon. It was't just your extrasensory ability and musical talent that was obvious and enjoyed by everyone....there was an invisible something, a sweetness, a gentleness directed at Inez. I felt it and I hope she did too. Thank you again for an unforgettable afternoon. Amazing entertainment that related to our Business. Sidney did a wonderful job entertaining us at our company meeting. However, even better than that, he spent the time with our leadership learning all about our Behavioral Health Hospitals and was able to make his act very relevant to us specifically. The participants were blown away by the act and even several days and weeks after the event they are still raving about the performance. I would strongly recommend Sidney Friedman to any group that wanted to be amazed and have their spirits lifted. Sidney was very entertaining and an unbelievable mentalist. Everyone was awed! The audience stayed engaged.... even the skeptics! We've all seen this: Ten minutes into an inspirational/motivational speaker, the guest slides his pelvis forward in the chair and leans back. The right ankle comes up to rest on the left knee. Then the hands disappear under the table. While the head remains seemingly aimed at the speaker, the eyes are clearly focused under the table.... and the guest is now firmly engaged with his cell phone. He's gone. He's in another galaxy. You've lost him. No more! I wanted a speaker/performer that would engage the audience and hold their attention, with a little audience participation thrown in. I wanted something different! That's exactly what we got in Sidney Friedman. Sidney kept the audience fully engaged and shaking their heads in amazement. When he asked for volunteers, hands shot up all over the room. Even the skeptics wanted to participate! Sidney not only held their keen interest, but he left them asking "How did he do that??" and "What did I just see??". Sidney uses his gift in ways that are truly entertaining, while both unbelievable and believable at the same time. There were no cell phones under tables during Sidney’s performance. That says a LOT! Sidney is a win-win-win! Sidney performed at my husband's 60th birthday party at our home for 45 people. He was engaging, entertaining and mind blowing. I have received multiple phone calls today with my friends raving about his show. He was a wonderful addition to our party. Sidney was easy to contact and communicated in a very timely fashion. Sidney was wonderful for our school fundraiser; I have never seen so many mouths drop at once. He wowed a crowd of over 200 people, who can't stop talking about the event. Sidney promoted our school all during his interactive show ;we had never experienced this kind of personalized entertainment for an event before. He truly is mind blowing! Sidney Friedman performed at a celebration for my mother's 80th birthday. He captivated the audience (which included all ages from 2 1/2 to 88), with his charm and his engaging and interactive style. Sidney is warm, and funny as well as startlingly skilled as a mentalist. I have never seen a room filled with delighted faces, not a bored look among them. He made my mother feel so special and he wowed everyone. He was also very flexible and willing to work with us in a space which which smaller than ideal. I give him my highest recommendation as a performer and he is an absolute pleasure to work with. 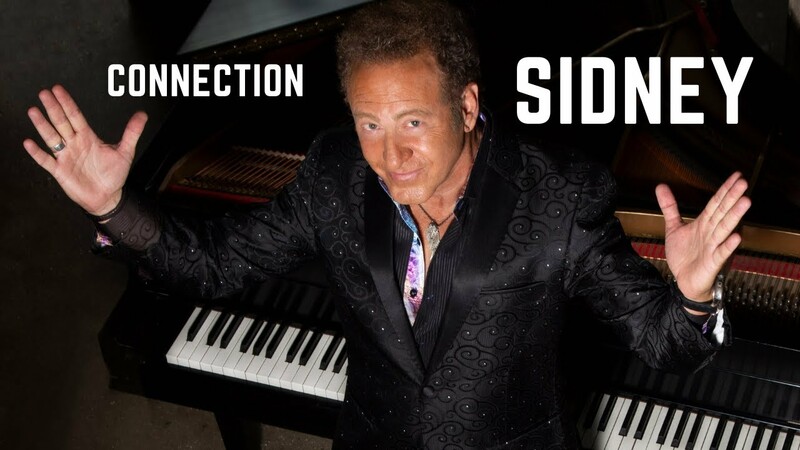 You couldn't possibly be anything but completely satisfied by choosing Sidney Friedman to perform at your event! Five stars and bravo! Sidney puts on an amazing show! Sidney's performance was great! Everyone had a wonderful time and it was the perfect addition to our celebration. Our guests are still talking about it and how much they enjoyed his show! Sidney came to our Sales & Service Management Team Meeting and we couldn't be more thrilled to have him! The personalized presentation was just what we needed to motivate and engage the team. I continued to receive positive feedback from those involved days after the event and everyone wondered "where we got him" and couldn't stop talking about the show. Sidney was absolutely exceptional, he really spent the time to learn about our company and customized to show just for us. Really great. Sidney Friedman performed at our client appreciation dinner and he was a unanimous HUGE hit!!! My guests and staff are still talking about him, clients are calling me and thanking me. He has a remarkable personable engaging way of presenting his "miracles," plus he weaved in our theme throughout the show, making the evening not only fun and spellbinding but also meaningful. Sidney is most likely the best mentalist in the world, plus just as important, he and his booking manager Richard are terrific to work with. If you don’t book Sidney for your next event you are missing out the most amazing show I have ever seen. Quality, interesting, fun, tasteful entertainment for all ages. Also helped promote our organization. Outstanding event thanks to Sidney!! We hired Sidney for a corporate event and it was spectacluar! Not only did people walk away completely entertained that night, but they are still talking about it one month later. His intuitive mindpower will amaze anyone who has the chance to see Sidney in action. I would highly recommend Sidney Friedman for any event. Hiring Sidney was a risk for us, because we had no idea whether people in the community would be interested enough to come. Well, they were! We had a large crowd that enjoyed this event immensely. The audience participation that Sidney engineered was hugely successful and created an electric anticipation for audience members, many of whom were hoping to participate. The audience was genuinely amazed at Sidney's abilities, but also appreciated his frank assessment of how successful he might be from show to show. After the show we could hear people everywhere -- in the lobby, in the parking lot, talking about which aspect of the performance they were most awed by. This was an extremely fun night and a really good fund raiser for our arts group. Insurance: $1,000,000 - Sidney Friedman has public liability insurance covered up to industry standards. Three things set mentalist SIDNEY FRIEDMAN apart from all other entertainers: 1) His performance makes EVERYONE feel special. He literally elevates an entire crowd as if he is speaking to each person individually. 2) Sidney and his staff are the easiest, most professional people to work with. Sidney doesn't want you satisfied. He wants you WOWED!!! As seen on the TODAY SHOW and THE VIEW, Sidney's show features the art of perception and intuition performed to the highest degree, but more than that, your audience will feel charged up, happy and excited about our minds, our lives and all the possibilities. The FRIEDMAN experience includes telepathy, extrasensory perception (ESP), premonition, even "mathemagic" and all kinds of extraordinary mind power. PLUS, uniquely and exclusively, you will see Friedman's "Music Mind Reading" where you think of specific songs, Friedman then senses them and plays them on the piano or guitar (SEE GIGSALAD VIDEO). In addition, FRIEDMAN customizes each presentation so your theme, concepts and goals are an integral part of the show. TODAY SHOW host Hoda Kotb exclaims, "A few people are better at seeing the future than others, like mentalist Sidney Friedman...I love Sidney!" Jo Jerman, the Sr. VP of MERCK calls FRIEDMAN's show, "Simply outstanding!" Win Christiansen, Sr. VP of McDonald's Corporation states, "Our people were (and still are!) spellbound by your feats. You absolutely captivated your entire audience." And Dan Donahue, the Sr. VP of Campbell's Soup Company wrote: "You made an indelible impression.... You always do a great job of linking innovative and creative ability.... It means a great deal to us that you are also very entertaining and fun." Dean Witter, Smith Barney, Fifth Third Bank, Wells Fargo, Nortell, McDonald's, Kraft Foods, Quaker Oats, Campbell's Soup, John Deere, Exxon, Lockheed Martin, HP, the New York Coal Trade Association, the Express Carriers Association, Jewish Federation, OMNI Youth Services, and more, so you can be sure your event will be terrific too. The technical requirements for FRIEDMAN's show are very simple and easy. With few exceptions, his show is adaptable to almost any environment and almost any space. A small table, a stool and a microphone are all that's required for smaller crowds. A small riser and some lighting are also needed for larger crowds, though often Friedman can bring his own lighting. Please inquire for specifics.